Our goal is to provide dentists with consistent quality and impeccable results. We work closely with recognized industry leaders who are known for setting the standards in material development in the USA. Our staff is ready to answer questions as you plan your next case. Davis Dental Laboratory has the solutions for your clinical success. For life-like results, e.max™ is the all-ceramic solution of choice. With this generation of pressed restorations, the lithium disilicate glass ceramic provides natural results and excellent strength. It is a versatile material that can be used for single crowns, inlays, onlays, and veneers. E.max offers greater versatility, as it is dual cureable (self cure or light cure.) Achieve beautiful results with Ivoclar’s IPS e.max. We provide a full line of zirconia products that are highly rated for strength, economy, and aesthetics. With indications ranging from a single unit coping to multi-unit bridges, zirconia substructures can aid in masking dark stumps and spanning edentulous areas. Davis is equipped to mill Jensen XT™ as well as Imagine zirconia in-house for your restorative needs. Provides a low-cost alternative to metal. Jensen XT™ is known for strength and durability. The shades tend to be more opaque than traditional stacked or pressed porcelain ceramics. We design and mill our Jensen XT™ crowns in-house. Is a great middle ground for your all ceramic needs. It boasts both strength and translucency. 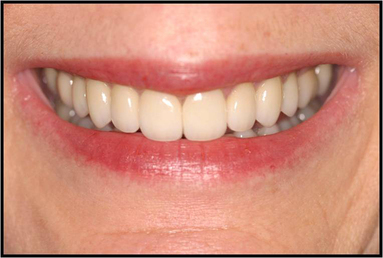 This Zirconia based crown is generally more gray when compared to our other restorations. If you're looking for a monolithic crown that provides esthetics and durability, Imagine should be a strong consideration. 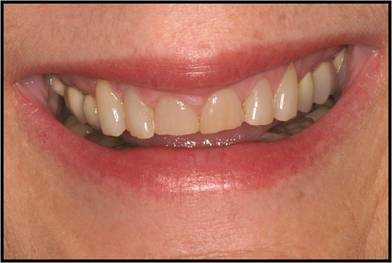 Porcelain layered over a metal substructure has a long history of durability and biocompatibility. A PFM is suitable for a wide range of restorations from single crowns to full arch restorations. The porcelain will be layered, stained, and glazed to create a highly aesthetic restoration. Stacked porcelain over a metal substructure is still a viable restorative option and we continue to provide VM9 ™ porcelain. Even with the latest advances in products, full cast gold crowns are regarded for biocompatibility, strength, and durability. Gold polishes well and does not oxidize in the mouth. We take great pride in our gold work and offer specialty castings using the Tucker Technique. Our full-cast alloys are selected for performance. With over 20 years of experience in implant technology, our team is skilled in preparing custom cast abutments and milled abutments. We are equipped to process all your implant needs. Working closely with industry leaders such as Atlantis, Straumann, Biomet 3i, and Nobel Biocare, we can confidently and precisely restore any implant. Treatment planning is essential for patient acceptance and case success. We analyze biological limitations, function, and aesthetic goals in the diagnostic phase. This tool enables the doctor, patient, and our technicians to clearly communicate and meet the restorative goals. Radica is the material of choice for indirect provisional restorations. It has proven to be more wear resistant than other acrylic materials and more durable long-term. The system is complete with 16 classic Vita shades and three levels of enamel translucency. At Davis Dental Laboratory, we have multiple trained level 4 OBI graduates to meet all of your bioesthetic needs. Call to discuss restorative planning with a technician today. Bioesthetic dentistry is the only discipline that uses optimal natural dental system biology as the guide for comprehensive diagnosis and treatment. The best human dental systems are not random. The scientific validity of this approach has been proven at the clinical level with quantifiable, existence-based, living morphology. The optimal model of exceptional biology is not exclusive and is available to anyone interested in its study. Very little formal academic research has been done on optimal dental system health. It is a fertile field for continued endeavors.